The suture technique uses a specially designed surgical stitch, which if inserted properly results in the most natural appearance. The stitch is a very durable fiber, and does not absorb or dissolve into the skin’s underlying structure. The method involves the pinching, or invagination, of the eyelid skin into a visible crease above the eyelid. The suture holds and secures the invaginated hood through a certain number of passes along the eyelid skin and underlying eyelid tissues. 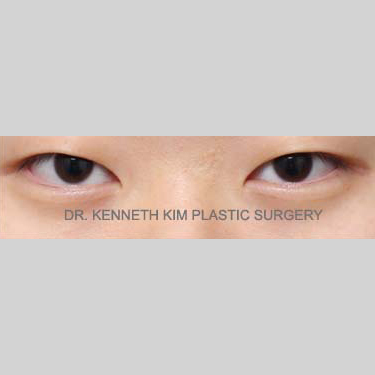 1 Why Double Eyelid Surgery? The eye encompasses the color aspect, white aspect, the shape, and the surrounding skin of the eye. Many individuals with mono-eyelids can have obstruction to the upper aspect of their eye shape, which can take away from the overall dimension of the eye. Aesthetically, people seek to undergo double eyelid surgery to improve their overall appearance by improving the shape of their eyes. Patients with an existing fold may choose to undergo this procedure to increase the size of their original fold, correct a weak fold, or correct an asymmetrical or multiple folds. 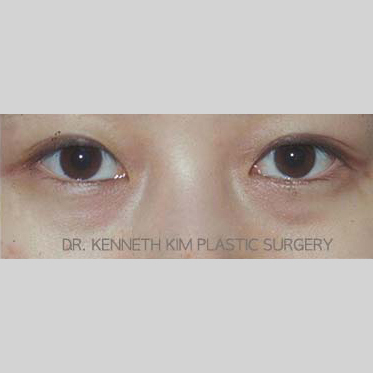 Other patients undergo double eyelid surgery for functional reasons. Some individuals with mono-eyelids experience cornea irritation due to short eye lashes that aim downward into their eye. Hooding of the eyelid skin or weak eye muscles can also affect the functionality of the eyes due to vision obstruction. 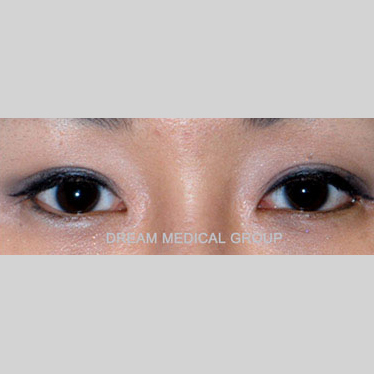 Undergoing double eyelid surgery can therefore improve one’s overall appearance as well as improve eye functionality. 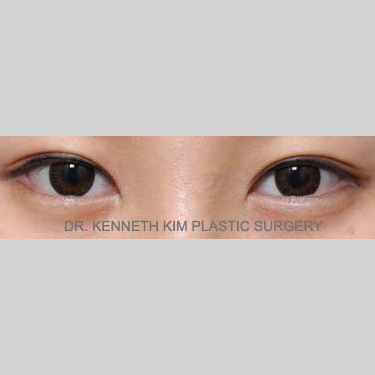 There are two surgical techniques for double eyelid surgery– suture and incisional. Each has its advantages and disadvantages, and depending on various attributes of the patient, one technique is likely to be more suitable than the other. For any patient undergoing eyelid surgery, it is important that your surgeon performs a ptosis examination prior to surgery. In the past, this technique was fraught with complications in the interactions among the eye elevating muscle, skin, and suture; these complications often caused a loosening of the suture, leading to loss of the actual fold in many patients. Because of this, it has been known to produce successful results for only a select number of patients, or those with relatively thin layers of fat and skin on their eyelids. This is because thinner skin would be simpler to secure with a suture, lowering any possibility of a loosening fold. It was also recommended for those with powerful eye elevating muscles to withstand the extra load produced by the new crease. Despite these initial precautions and drawbacks in the suture technique, valuable headway has been made to accommodate all types of patients with unique eyelid structures. Dr. Kim has practiced extensively with these new advanced techniques to deliver beautiful and long-lasting results that complement each patient’s face. He customizes each operation by incorporating various eye enlargement techniques, such as ptosis repair, epicanthoplasty, lateral canthoplasty, etc., to his specialized suture technique. Also referred to as the non-incision technique, the suture method is suitable for patients that do not have redundant eyelid skin (excess eyelid skin) and have relatively thin or moderate eyelid thickness. Patients who suffer from ptosis are not good candidates for this method of double eyelid surgery unless the 3D Suture Technique (3D ST*) is applied. The traditional suture technique was simple in design and performed by placement of three fixations. Entry points were made through the skin and attached to the tarsus (or in some exceptional cases, to the eye elevating muscle complex) by use of multiple sutures. This older method resulted in frequent loosening of the sutures and weak, shallow folds. 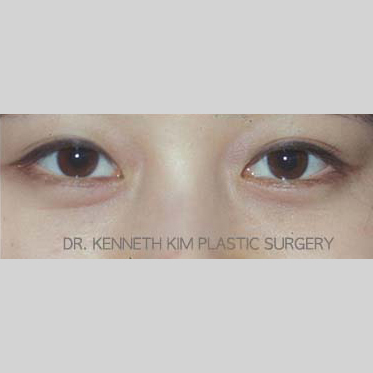 Advancements in double eyelid surgery using this method have predominantly come from South Korea since the late 1980s. Referred to as the traditional suture technique, one of the improvements has been the ability to decrease the early incidence of the loosening of sutures while still maintaining a natural looking fold. The 2D Suture Technique is performed by use of a double-looped, single continuous suture through the three entry points. Further advancements included adding additional fixation points (e.g., 4, 5, 6, etc.) to increase fold formation strength for patients with thicker skin or tissue. When performing this technique, the goal of the surgeon is to find a balance between creating a soft, natural looking fold and preventing suture loosening. The estimated duration of the double eyelid surgery with the suture technique is 30 minutes to one hour, as the surgery is less invasive. The suture technique is less invasive and therefore results in less swelling and a shorter recovery time. Typically, after the suture technique double eyelid surgery, most swelling subsides within a few weeks and final results show in one to three months. There is relatively little bruising although it varies from patient to patient. One of the biggest advantages of the suture method is that the results most closely resemble a natural eye fold. A disadvantage of this method is that the results are not permanent. With this method, the fold will eventually get smaller, weaker, and can even disappear due to suture loosening. There are also rare occurrences of suture rupture (i.e., breakage) necessitating revision surgery. The surgery takes place under local anesthesia, with or without oral sedatives. The duration of the surgery is approximately 30 minutes. The skin stitches will be removed 4-6 days after the surgery at our office.